To be “healthy” doesn’t just mean to be in shape or fit and always eating healthy foods. Of course that is a good chunk of being healthy, but I want to talk about being healthy mentally. 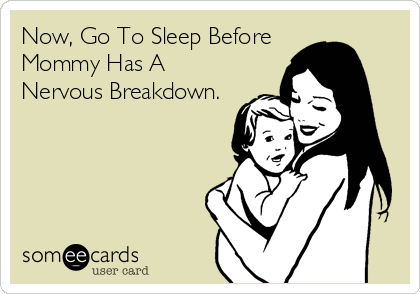 Currently, I am a Stay-at-home-mom of 3 kids ages 5, 3 and 10 months old. I love my kids SO incredibly much, but there are days I feel like I’m going crazy and turn into “Monster Mom” as my 3 year old says . Maybe I am not as patient as I know I should be or I don’t feel like listening about all the different Pokémon creatures or whatever they are or maybe I feel like putting myself on “timeout” and lock myself in my room for a breather. It is TOUGH to be a mom!! Then of course, when I feel I am not “mommy-ing” as good as I now I should or can be I feel guilty. Right?? Have you been there too? I WANT to give my attention and love to my kids! I don’t like feeling like I am being “monster mom”, so I need to make sure I am giving myself a breather or a “mommy moment” so I can be the best mom I can be. Besides taking care of ourselves physically and nutritionally we can’t for get about emotionally or mentally!! We can’t afford to! I also believe that they are all intertwined. Take a bubble bath— put the phone down and just relax! Stretch! I ALWAYS feel uplifted after I stretch. create a wish list or to do and start working towards it during your “mommy moment” time. Hire a babysitter, get all dressed up and go on a date! Paint or draw— get those creative juices flowing. go to bed early and wake up early for a good workout– for me this is the best way to start my day! Take some time for you! Relieve some stress and slow down. 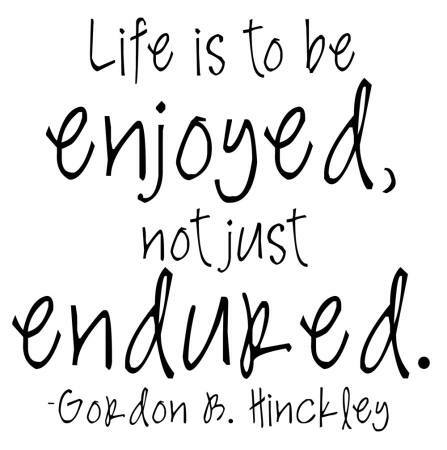 I love this quote by Gordon B. Hinckley, “Life is to be enjoyed not just endured”.